Odds are you have Google Lens in your phone as part of Assistant. If you're not satisfied with Lens, there's an alternative from Microsoft. The Bing app has been updated with AI-powered visual search. So, it's Lens but from Microsoft. Like Assistant, Microsoft's visual search feature uses a neural network trained with many bytes of sample images. At the end of the training process, the system can look at new images and (sometimes) figure out what they are. 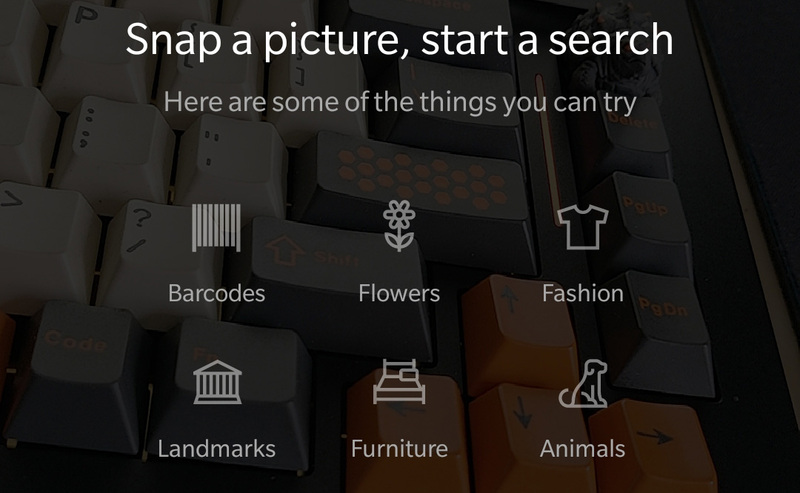 Bing can spot things like flowers, clothing, animals, and barcodes. To fire it up, just hit the camera button on the main screen of the Bing app. From my limited testing, Bing visual search can usually ID the things it uses as examples. It can see a dog in the frame pretty reliably. However, the data it offers isn't as actionable as Lens. You can't copy text, and the links aren't very useful. Bing also seems more prone to taking a wild guess when it doesn't know what to do. I showed it a package of dog treats (with barcode visible) and it told me it was the movie Ted. Might want to keep working on this one, Microsoft.